22"Wx 16"H x 6"D 1000 Denier nylon briefcase-style transit bags. 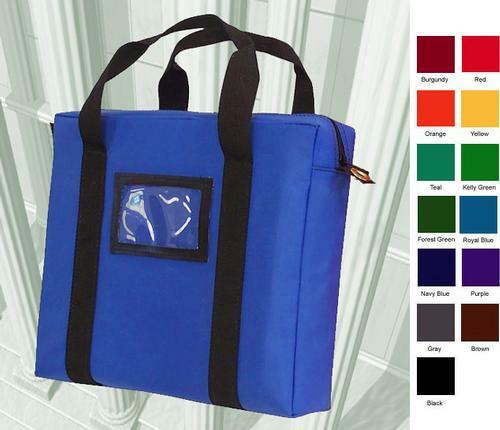 These bags provide extra room for your inter-office or inter-branch communications combined with ease of carrying. The tough, water-repellant materials will provide long years of use; many color choices and colors can be combined for quantity price breaks. Includes framed card holder and webbed handles around bags. Nylon zippered closures.